1.5.2018, 8:30 in the morning, good 12 degrees, in the parking lot of a furniture store: I’m in full racing gear with my racing bike at the start of my very first bike race. Eschborn Frankfurt. A good year before that, I would have drunk my last long drink at this time and left a Viennese city center restaurant to go to bed. But, well, times are changing, goals are changing, and I wanted to try the myth bike classic myself. 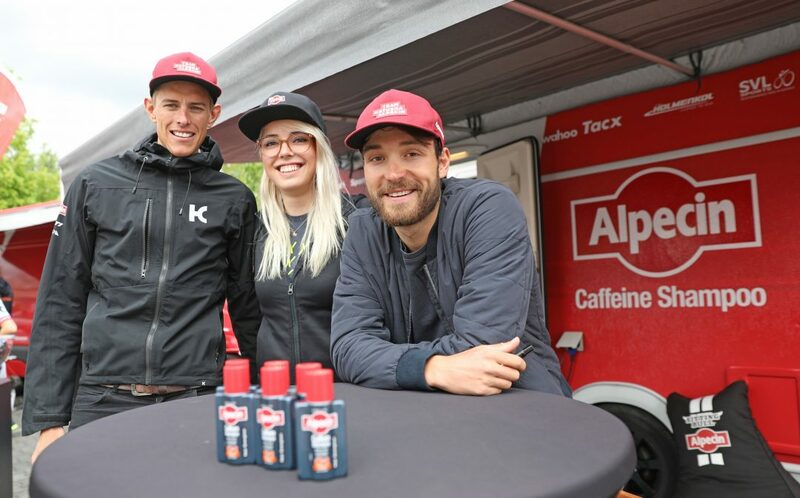 Together with the team Alpecin and 5,500 other starts, it went on a 100 km long emotional ascent and descent. Because I had no special goal, except to finish well and to enjoy the closed roads, but was very nervous after entering the day before. Did she really write that now? That’s viennese for: stop the exaggerated fear. You’re not racing with the pros, just the route of the pros. If you’ve set your average speed during registration, you’ll automatically get into a common starting block with others who will most definitely drive at the same pace pace. You’ll not have the feeling of driving somewhere behind at any time. The absolute hammer! Part of the route even led over a three-lane road, which we had completely for ourselves. Several times I just had to say “Oh my god!” and “That’s just awesome.” call, because it was so much fun. … like me and another young lady, who nodded “HER AGAIN!” when I drove past her for the third time at Ruppertshain. 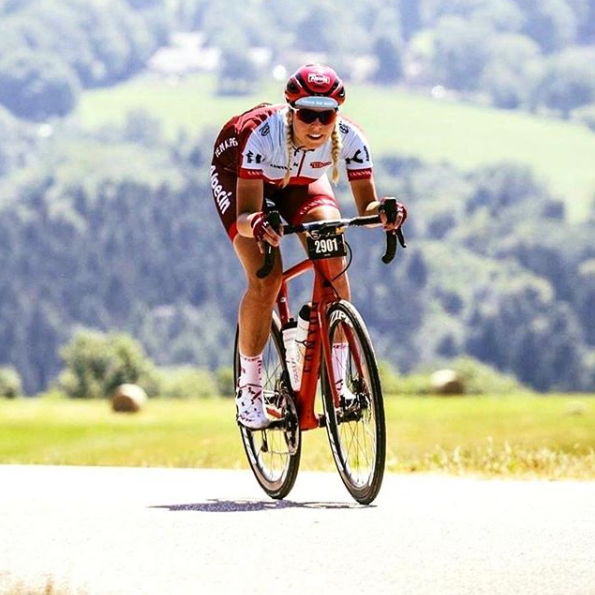 To be honest, in my first bike race I was really a desperate descender, quite the contrary to her, who took the curves with such self-confidence that my jaw dropped almost completely. I said to her, “Oh, if I could, I’d trade with you!” – and we both had to laugh. Yeah, it’s a race. But as long as you do not aim for the podium, just have fun. The Feldberg up I had a super nice conversation with a girl from Frankfurt, who was already much experienced in roadbike races – while we heard most men only groan and creak behind us. I would highly suggest to arrive by public transport or sleep anywhere near. It’s more fun, good for the race and you’re not in a traffic jam afterwards. On the way to the S-Bah I went past a column of cars and over closed roads for the pro cyclists – and I was pleased, because that was nothing I had to worry about. I remember the cheering fans, the rattling of those “blow up stuff” against the walls, the excitement, when the first car passes through and then the buzz of the full carbon mashines of the pros so incredibly well that I already scheduled a visit to the city of Frankfurt instead of heading home immediately after the race in 2019. If you have any questions about the race preparation, feel free to contact me! Although I’m not an expert, I have 4 road and two CX races in 2018 in the saddle. I might not be the right person to ask for a specific training plan for the race, as I don’t have an education as a trainer. Personally, I would not over exaggerate it just in the week before the race and eat a little more carbohydrates than usual. 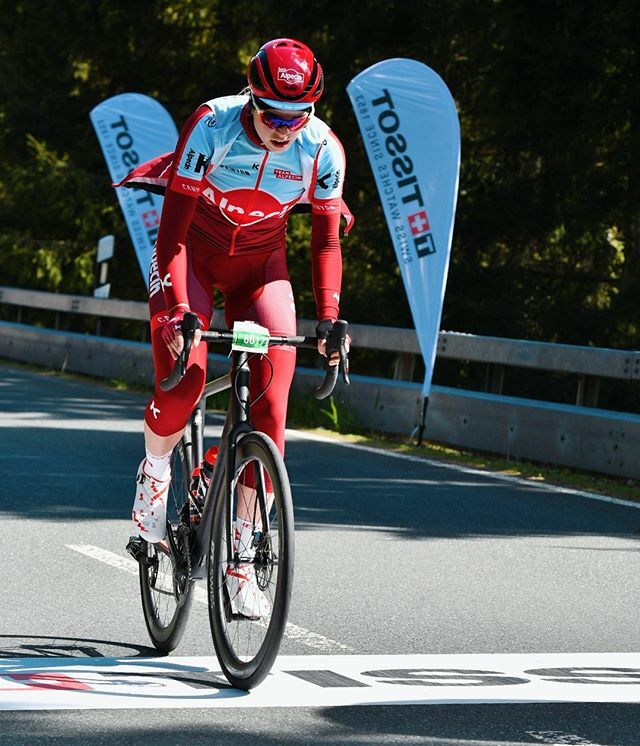 I also wrote a detailed report about the race Eschborn-Frankfurt here. 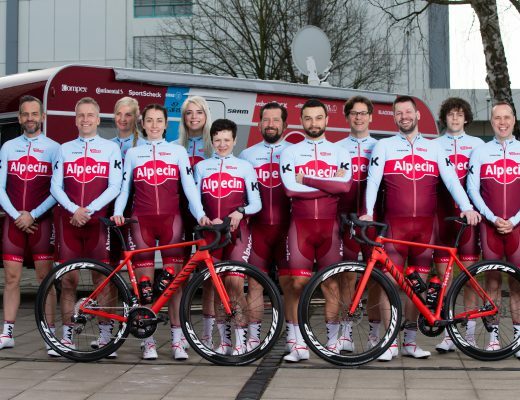 I’m really looking forward to seeing you – and of course the Team Alpecin 2019! #Cooperation: Thanks to Eschborn Frankfurt for the support of the launch site! 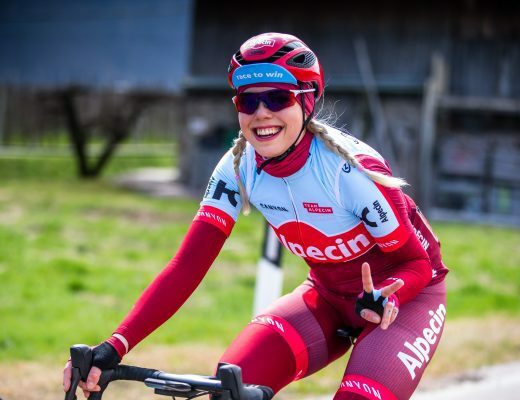 24-year-old girl from Hamburg living and cycling in Vienna. Thinking about my bike while working in Marketing. 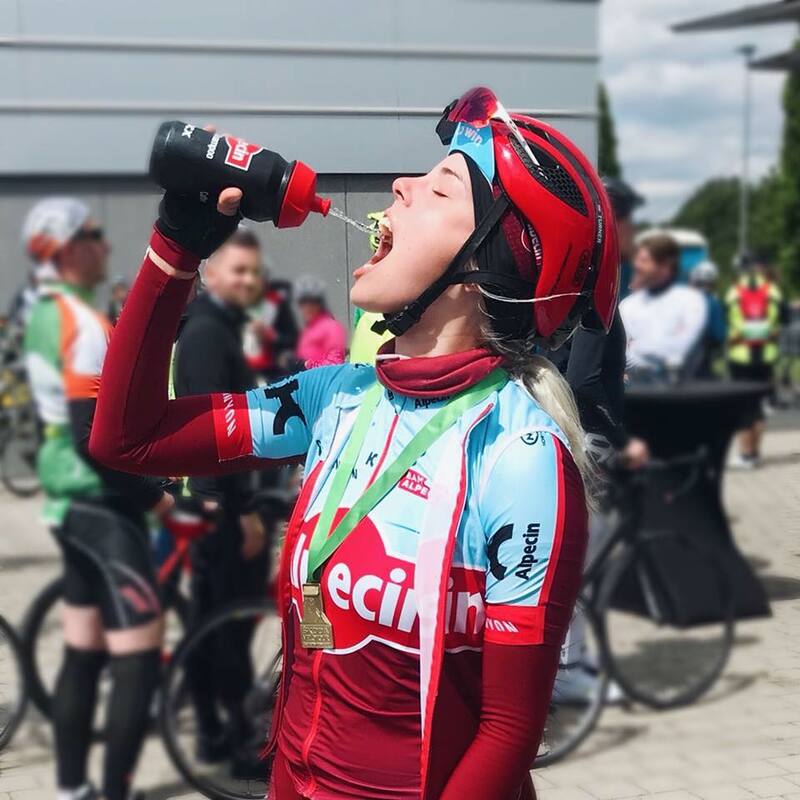 Road Cyclist since August 2017. Get all the News directly to your mailbox!